Miyazaki, H. (Director), (2005). Nausicaä of the Valley of the Wind. Studio Ghibli & Walt Disney Home Entertainment. 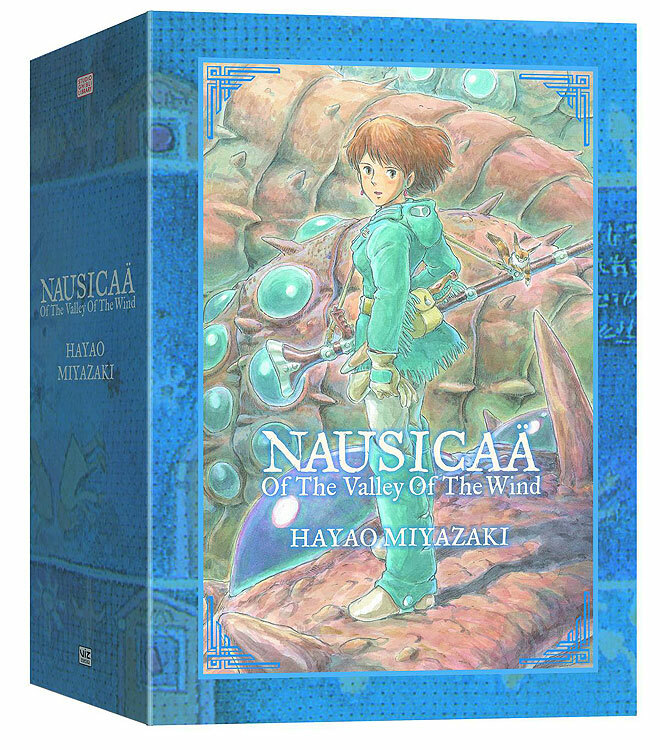 Hayao Miyazaki’s ecological/dystopian manga series, Nausicaä of the Valley of the Wind (1982), adapted as a major motion picture in 1985 and re-released in 2010 is set 1,000 years on Earth after war has devastated the majority of its landscape due to a holocaust called the “Seven Days of Fire”. Still, humanity survives and struggles for existence in a highly polluted atmosphere filled with overgrown forests and monstrous insects. After the near destruction of human civilization, humanity struggles against the toxic jungle overgrowth. Eking out lives at the edges of toxic jungles that are inhabited by giant insects, life remains a struggle for most. In one kingdom, the bucolic Valley of the Wind, Princess Nausicaä and her people are thrown into the maelstrom of a war when a bellicose Tolmekian (another Kingdom) warship crashes into their valley. Aboard that ship is a relic of the war that almost destroyed the Earth and human civilization 1000 years ago. Suddenly the peaceful Valley of the Wind and Princess Nausicaä must struggle for their existence as a war over the future of humanity and of the Earth plays out in the Valley. While events are shaping up for a war, Nausicaä learns of the secret of the Toxic Jungle and its connection to humanity. And so the future of humanity is caught between the knowledge that only Nausicaä possesses and the plans of the militaristic Tolmekians, who are set to try to destroy the Toxic Jungle. This is not only a message about environmental devastation or a dystopian future, but rather Nausicaä’s fights for life as seen by her struggle to save her people, save the environment, and even save those who are considered the enemy due to her ability to understand the importance of the forest as well as humanity. In Nausicaä of the Valley of the Wind, exhibits a strong female role-model that’s daring, brave, intelligent, insightful, compassionate, and a born leader. In Miyazaki’s animated film, he addresses and makes aware the need for a sustainable environmentally conscious future. The story incorporates highly imaginative insects, flying machines, a toxic jungle, royalty, and survival in a dying world, kidnapping, battles, and some frightening violent imagery (city fires and animal death). The animated film is based off of the manga of the same title and both are very similar in storyline. Vocal performances include Alison Lohman, Shia LaBeouf, Patrick Stewart, Edward James Olmos, and Uma Thurman. Fans of the movies Princess Mononoke (2000) by Hayao Miyazaki, Origin: Spirits of the Past (2008) by Taliesin Jaffe, or Titan A.E. (2000) directed by Don Bluth & Gary Goldman will absolutely love Nausicaä of the Valley of the Wind.